Garden Bytes from the Big Apple: book reviews and give away! Ellen & Ellen are offering two new and very different books as giveaways. We've reviewed them both below and look forward to judging your comments! Write a few sentences about your favorite discovery growing edibles (if you want book # 1) or orchids (if you want book # 2). It might be something most gardeners know but you unearthed for yourself, or a secret you're ready to share with the world. We're looking for personal experiences, either positive or negative. Please post your comments by Oct.12th and we'll announce by Oct. 19th. And please don't enter for both books; we want to spread the literary joy as wide as we can. 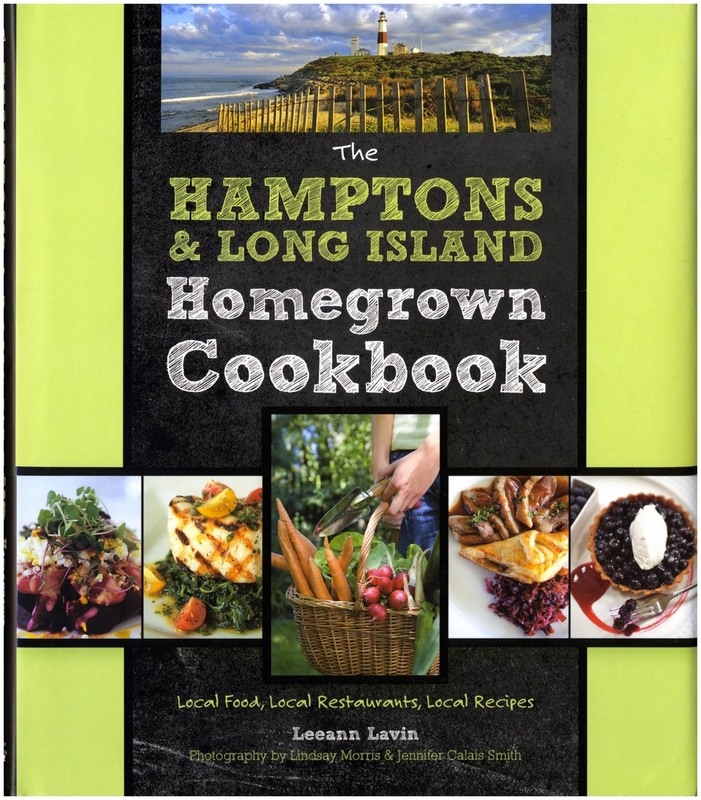 The Hamptons & Long Island Homegrown Cookbook, by Leeann Lavin is a lavish book of conversations with farmers from the fertile North and South Forks of Long Island, along with top local chefs. Leeann profiles these Farmers and Chefs as co-dependents in the dance of the local harvest. Large and lush photographs by Lindsay Morris & Jennifer Calais Smith make you want to run this weekend to one of the fabulous restaurants that base their menus on local and seasonal crops at their freshest. Farm-to-plate is a hot topic these days, and on Long Island it makes a lot of sense because the crops are so diversified; from seafood of all types caught by local fishermen, to local wine from the vineyards, cheeses, and of course the greens, beets, corn, tomatoes, raspberries; fruit and veg of all kinds. Recipes look extremely flavorful, yet simple to produce, enticing enough to try. In a regional book of this kind, part of the fun is in personal recognition; my moment came in the profiles of Chef Eberhard Muller and his wife Pauline Satur of Satur Farms. I had dined in Paris at the Michelin three-star L'Archestrat where Muller had been chef and where I first tried a miraculous new concept called a tasting menu. Now living in Manhattan, I order my groceries online from Fresh Direct, which offers a special category of local foods; Satur Farms greens have often been on my marketing list. I haven't actually had a garden in many years (sigh...) but when I did, there was nothing better than harvesting the "fixins' for a wonderful soup or salad, almost entirely from my little garden patch. the cookbook sounds very interesting, thanks for a great contest. if any of your readers are crafters too. This is brilliant! You two are so creative -- what a wonderful book review concept. I will be sure to spread the word. Thank you for featuring my book, "The Hamptons & Long Island Homegrown Cookbook." I knew you would get it - but your descriptions are more than spot on & delicious: e.g. "farmers & chefs as co-dependents in the dance of the local harvest." From gardening prowess to literary heights - you are the tops! And yes, the food stories about the chefs & their growers inspire all of us to create their "flavorful, yet simple to produce" recipes no matter where one hangs their trowel or oven mitt :) Thank you from the bottom of my Homegrown heart. So true, Ellen. We are holy trinity :) I have posted your book review and giveaway on the book's Facebook page. Cheers. to think them just curious curlicues among my flowers. In 1997-8 I had a vegetable garden in New Mexico. I was an avid reader of Organic Gardening then. A article had suggested that there was no reason to waste precious space on garlic when garlic was so inexpensive at the store. I didn't question that, and when I regurgitated the same to a gardening professor of mine (I was in art school), she gave me a tongue lashing,"Have I ever tasted home grown garlic?!" The answer, was of course, no. SO I went out to the grocery store, bought some garlic, and planted that! Ha, and the results? I don't even remember, but no doubt not much different from store bought. It wasn't until 2009 that I considered growing garlic again, the idea reappearing out of thin air. And now? Well, LI's South Fork is now hosting my acre of garlic. Ellen Z, you are mentioned in Robin Shulman's "Eating the City"! Thanks Anonymous, Robin interviewed me, but I thought I'd been left on the cutting room floor. what is Frank@nycg acre of garlic on the South Fork? For personal pleasure? or for chef use? I love the Homegrown garlic - can't get enough of its fresh taste. And the terroir on the South Fork makes it even that much better. SouthFork Kitchen's chef, Joe Isidori grew a lot this year too, and he described the texture for us at the Rizzolli book event that I will share with you. "Its like water chestnuts." I think that captures the juicy, crunchy texture, don't you? Cheers to great garlic. I just had great sage too, at 18 Bay Restaurant on Shelter Island, paired with mustard seeds and black sea bass crudo, with horseradish cream and Russett Apples. Wow. Hi, Frank@nycg here. Yes, I am growing, or should I say, about to grow 7 varieties, 16 strains of garlic on the south fork's Bridgehampton silt loam. Name's Hudson Clove. Will have a good amount next season. Also will have about 9000 Griselle shallots and maybe a surprise or two. If all goes well.